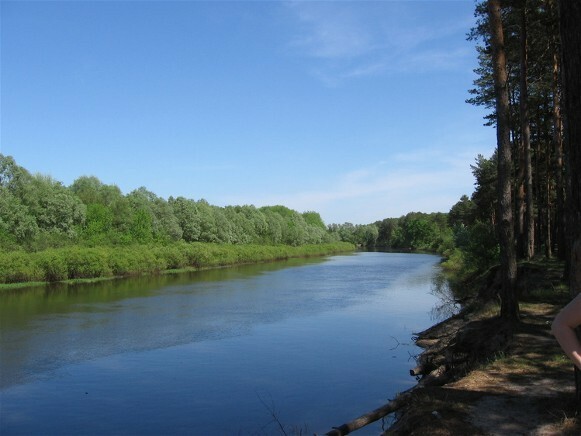 Desna River. (Map: Desna River.) The longest tributary of the Dnieper River, joining it on the left side 6 km above Kyiv. 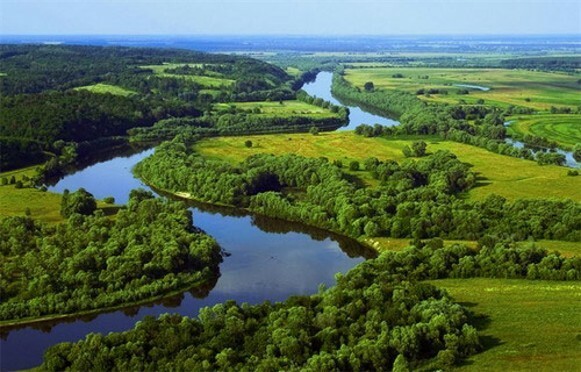 Its length is 1,130 km (591 of which lie within Ukraine), and its basin covers 88,900 sq km. 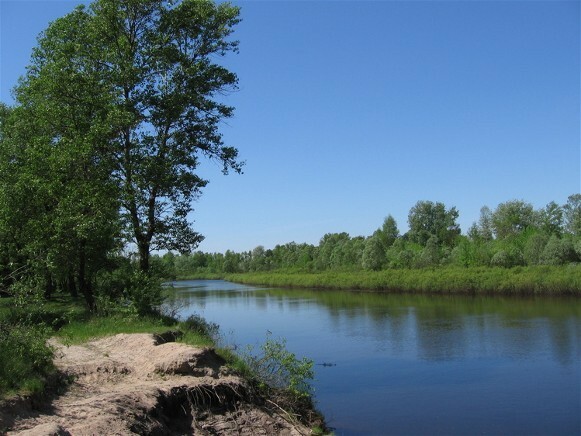 The Desna originates in the Smolensk region and flows through a low and swampy valley past Briansk, where the right bank rises considerably. After its confluence with the Seim River, the river abruptly widens, splitting into numerous branches. 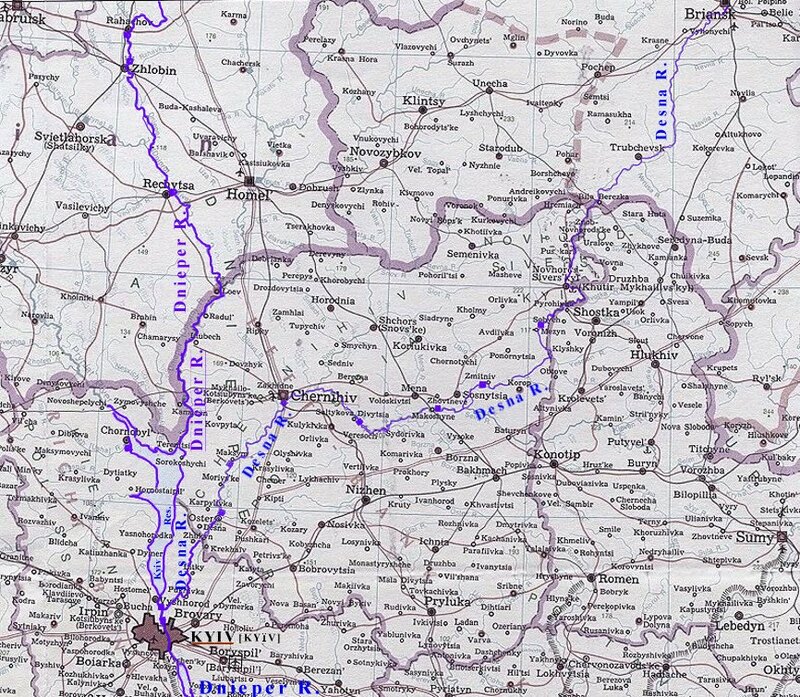 The right bank declines again below Chernihiv, and below Oster the Desna continues its course through a low, muddy plain until it reaches the Dnieper. In Ukraine the width of the river ranges from 60 to 250 m; its average depth is 3 m. The mean annual discharge at its mouth is 360 cu m/sec. The Desna freezes over from early December to early April. 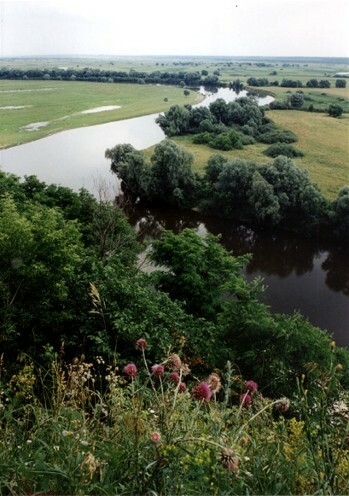 Its main tributaries on the right bank are the Sudost River and the Snov River, and on the left bank, the Seim River and the Oster River. 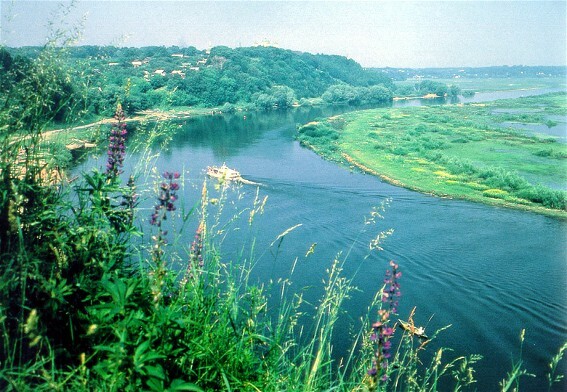 The river is navigable from Novhorod-Siverskyi to its mouth (535 km). On the Desna are located several cities: Oster, Chernihiv, Novhorod-Siverskyi, Trubchevsk, Briansk, and Zhukovka.